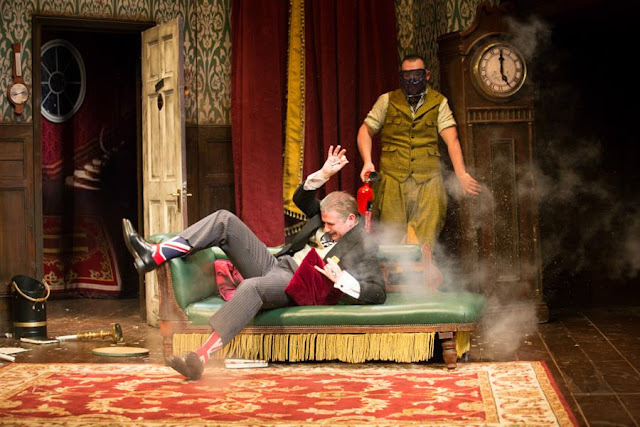 The Play That Goes Wrong | Belgrade Theatre, Coventry. Having watched Mischief Theatre's production of Peter Pan Goes Wrong (you can read that review here ) during New Year's Eve, I have been captivated ever since by their innovative approach to integrating their comedy into the theatre. 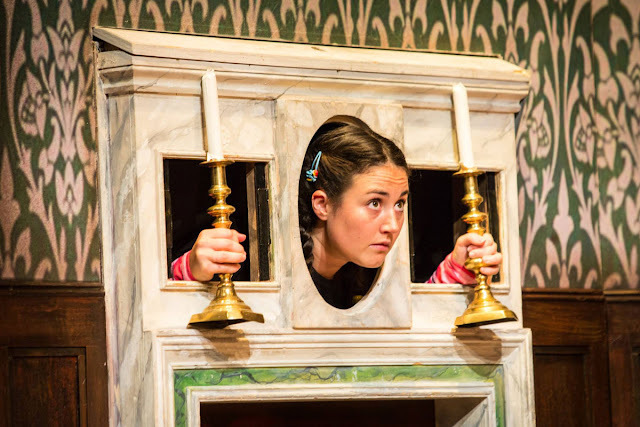 I feel like we’re all trying to shake off the bad things going on in the world and embrace all the good, Mischief Theatre’s The Play That Goes Wrong is just the solution! Formed in 2008, Mischief Theatre have come a long way since their first performance at the London Fringe in 2009 where at one gig the cast outnumbered the audience! However, their success built upon winning The Best Improv Award at The Edinburgh Fringe in 2010, developing into a company which has established itself within the West End as well as Broadway. Mischief Theatre are now embarking on a new 29 date UK & Ireland Tour with the successful production of, The Play That Goes Wrong. Knowing full well what this company can put their audience through I still had no idea of what to expect in this production. The “Cornley Polytechnic Drama Society” are performing their 1920’s murder mystery production, but we all know that everything which could possibly go wrong in this show... does, and does so in style! Their small cast of accident-prone but undoubtedly enthusiastic thespians conquer all the odds, including their set falling apart around them to make it through to their final curtain call, still breathing. The production felt very fast paced and slick, ensuring that their audience was hanging on their very word as they go on solving their mystery. The comedic style used by Mischief Theatre was very slapstick orientated and very easy to enjoy. It is an entertaining watch, even the moments of silence whilst you waited for the next punchline and could only hear the faint sound of hysteretic laughing coming from an older woman behind you. There was a definite pain in my sides from the amount of laughing! I won’t give too much of the context away but what I am sure of is that I wouldn’t have wanted to be the crew cleaning up after their mess when the curtain went down. Make sure you book your ticket for this hilarious production on their UK & Ireland this year! I love seeing plays and especially ones with comedy! It breaks the ice with the audience with the comedy (: I am glad I came across your review. This is definitely the best comedy I have ever seen on stage. I have tickets for when the tour comes to Leicester next month but I might be in London and will miss it. Although two Mischief Theatre productions are on down in London still, so might watch one while I'm down there.